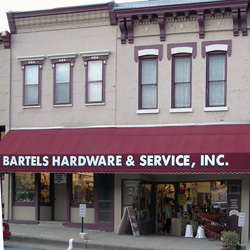 Bartels Hardware & Service, Inc.
Mississippi River, Coulee region number one garden market with local crafts and local specialty foods and numerous apple varieties. 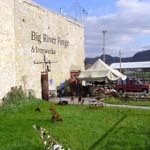 Mississippi River's premier store for birding supplies, bird feeding, bird watching and bird education. Custom manufacturer of decorative & functional wrought iron metal & fabricated steel products. We have all of your Mississippi River fishing needs including Bait and Tackle and boat supplies!